It sounds crazy, but very few new-from-the-ground-up hotels have opened in booming San Francisco since the InterContinental by Moscone Center opened in 2008. 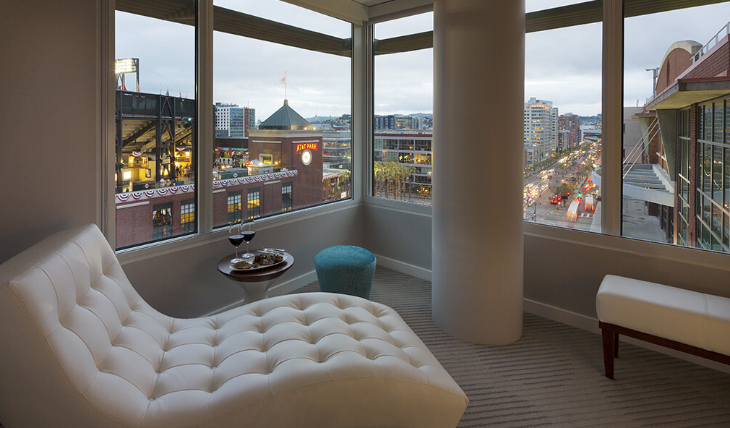 The city’s “newest” boutique property, the perennially pricey (and popular) Hotel Vitale is now nearly 12 years old. About the only “new” hotel that’s opened recently is the Hampton Inn on a seedy stretch of Mission Street. 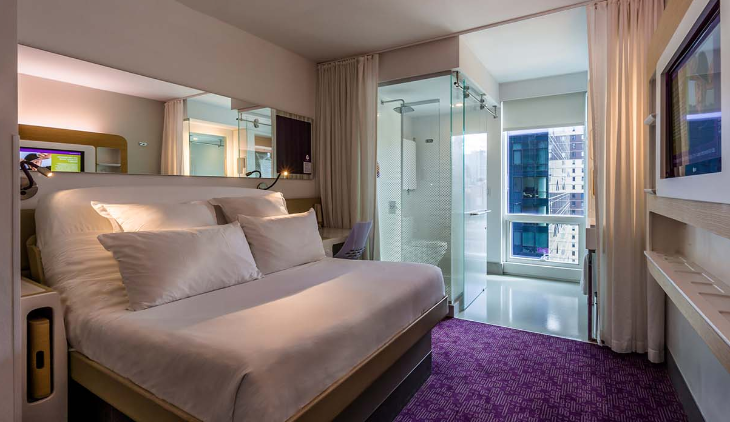 That nearly decade-long drought of new hotels will end in a splash with at least four new hotels opening in the next year (and up to 12 more on the way) according to a real estate story in Sunday’s San Francisco Chronicle. The newspaper points out that none of these properties fall into the hotel behemoth category that dominated the city’s hotel scene in the 80s and 90s with the opening of giants like the 1,362 room Marriott Marquis (known locally as “the jukebox”.) Instead, these are newer, smaller more “neighborhoody” hotels built near tech hubs, and focused on the younger millennial set. Keep in mind that some of the neighborhoods where these hotels are popping up are where the city’s homeless problem has been most intractable. It remains to be seen if the new projects will change that. 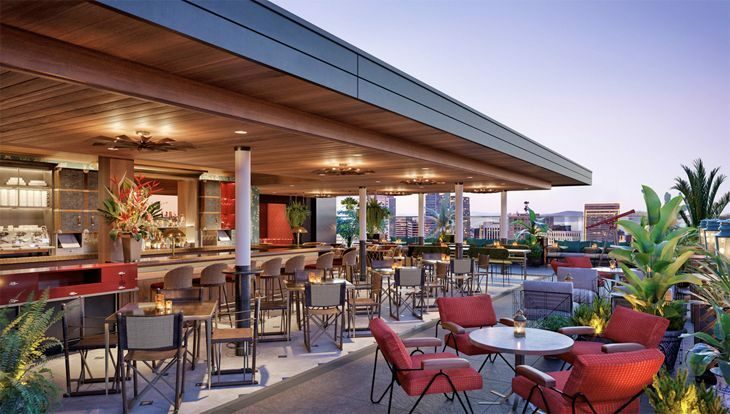 The 159-room, new-from-the-ground-up Hotel Via opened last month across the street from AT&T Park in the South Beach/Mission Bay area of town, a few blocks southeast of the financial district and Embarcadero area. In keeping with the tech focus, guests’ mobile phones can double as room keys. Rooms have Illy coffee makers and mini-fridges and wi-fi is free. Rates start at around $300 per night. 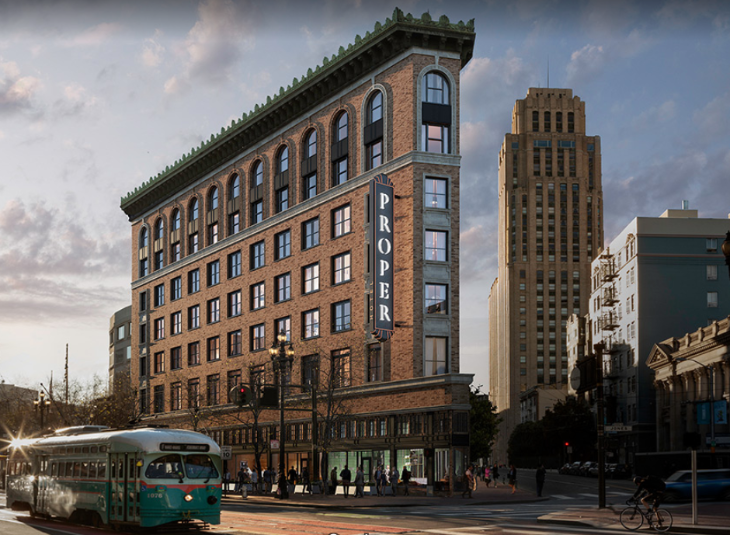 On August 14, the new San Francisco Proper will open in the gritty Mid-Market Street area, which as been enjoying a bit of a renaissance as big tech companies like Twitter, Uber, Square, Dolby and several new residential high rises have moved in. The triangular flatiron shaped hotel inhabits the shell of the old, dilapidated Renoir Hotel, and will have four restaurants and bars, including a new venue on the roof. Rates will start in the $400 per night range– but cheaper “bunk rooms” (yes, with bunk beds) will start at around $250. More about rooms here. Later in 2017 or 2018, a new-from-the-ground-up, 196-room Virgin Hotel will open South of Market on Fourth & Folsom Streets near Moscone Center– and eventually across the street from the new Central Subway Station which opens in two years. I don’t have a good image of the building exterior yet, but below is a rendering of what the rooftop deck will look like. Currently, there is no firm opening date (only “this winter”), and there’s no hotel website. To get a good idea of the vibe of Virgin hotels where rooms are called “chambers,” check out the Virgin Chicago website. UPDATED INFO: We previously wrote about a new Marriott Hotel that was reportedly opening this winter in the Mission Bay – China Beach area near AT&T Park. Upon conversing with the architectural firm involved in the project, we found that this hotel is hoping to break ground this year, but will not be open for two more years. It is expected to be a full service, four star hotel, but we still don’t know which Marriott brand flag it will fly. This is just the beginning of the boom– the Chronicle found 12 more hotels (totaling 4,000 rooms) working their way through the city’s labyrinthine approvals process. (Including a new Waldorf-Astoria near the Transbay Center.) Most of these are slated for the once-blighted, now hot SOMA or South of Market area of the city. 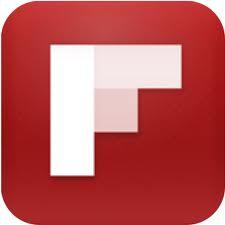 Link to the SF Chronicle’s full story here. What’s your go-to San Francisco hotel? Why? Please leave your comments and tips below!